SAN ANTONIO - A family is without a home after they woke up to flames in their apartment on the West Side Sunday morning. 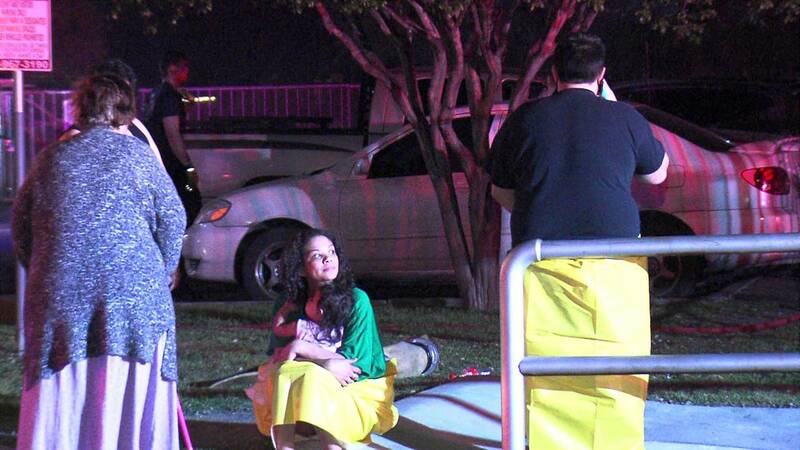 The San Antonio Police Department and the San Antonio Fire Department were called to Oaks of West Lake apartments in the 5100 block of Hunt Lane around 4:30 a.m.
Gilbert Martinez said he and his family woke up to a frightening scene. Martinez said his family was the first thing that came to mind when he saw the flames. “'Man, I hope my daughter is alright,' that is the first thing that came into my mind, was my little girl,” Martinez said. The family said it’s mostly structural damage and whatever was near the socket that was burned, but it doesn’t matter to them, they just cared about getting their 1-year-old daughter out safely. They're staying in a sample unit at their complex, waiting to see what's next. Martinez said things lost in the fire aren't really important. He is only worried about one thing. “As long as my daughter's fine, as long as my fiancee is fine, we will be alright,” Martinez said.